The sofa bed is a great invention that provides space for overnight guests to sleep. It can give a room such as a den, office, or even a living room a dual purpose. It is a space saver for small apartments, boats, RVs, and other tight spaces. The convertible sofa bed provides seating during the day and with the right mattress, a comfortable place to sleep at night. However, often the sofa bed may come with an inferior mattress, or depending on usage the mattress may need to be replaced over time. The question then becomes; what kind of sofa replacement mattress is the best choice? (For detailed information on purchasing a sofa mattress, also check out our Sofa Bed Mattress Buying Guide). 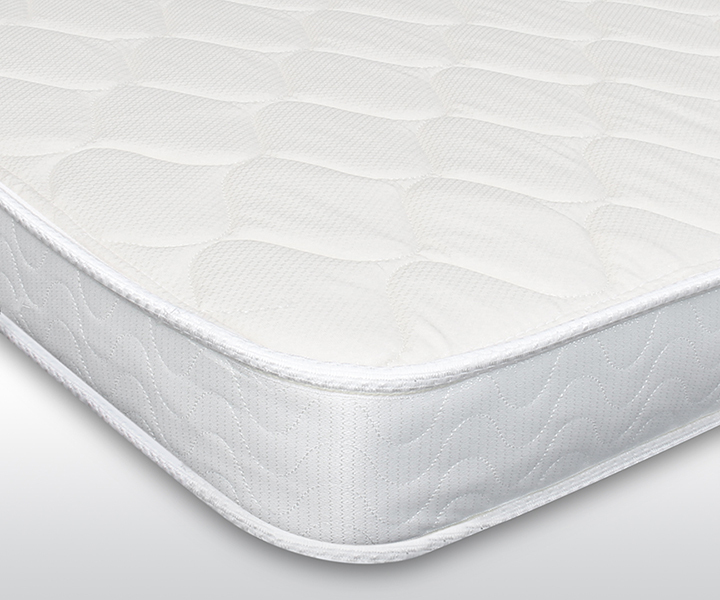 • Platinum – The Platinum mattress is composed of a 2.5 pounds per cubic foot foam. It is available in a five-inch thickness, and it can be ordered for a price starting from $345. In order to determine which of the two sofa bed mattresses is the best for you, complete the following quiz! After determining which of our mattress models is the best for you you can go ahead and order the respective mattress (in any size) below. 1. How Often Will the Sofa Bed be Used? If you are using the sleeper sofa in a vacation home or only for the occasional guest, the Gold mattress may fit your needs. There is no need to spend the extra money if you just use it when your spouse has the flu or your aunt from Seattle visits for the holidays. However, if the sofa bed mattress will be used on a weekly or daily basis, the Platinum is the better choice, as it is manufactured from a higher density foam, which assures a better durability in such conditions. 2. Who Will be Using the Sofa Bed Mattress? Of course, who will be using the sofa sleeper mattress is a very important consideration as well. If you have small young grandchildren who stay the night only occasionally the Gold couch mattress will most likely suffice. If, however, your 260-pound brother ends up spending the night most weekends, you are definitely going to need the Platinum mattress, as it is specially created to provide comfort and support even for the heavier sleeper. 3. Do you prefer a softer or firmer mattress? The firmness of a foam mattress is actually measured in units called Indentation Force Deflection (IFD), and few people know that the firmness or softness level of the mattress has nothing to do with foam density nor mattress thickness. While both mattress types are relatively firm (which is also important to make sure you won’t fee the bar), if you are looking for a firmer mattress, the Gold model may be the best choice for you; those looking for a softer night’s sleep would be better off with the Platinum option as it has a lower IFD than our Gold sofa bed mattress. 4. Is There a Favorite Sleeping Position to be Considered? If the sofa bed mattress is used consistently for one person, you may want to consider their sleeping position. Side sleepers might prefer the Gold hide a bed mattress (softer), while back sleepers find the Platinum more comfortable (firmer). Additionally, before choosing the thickness of the mattress, be sure to measure the frame to ensure there is room for the mattress to be folded back into the sofa position. Find out more details about how to get the measurements of the new sofa bed replacement mattress. You and your guests will both appreciate the quality of sleep a good mattress provides.